« Volkswagen’s Tennessee Subsidy Deal: Are Taxpayers Being Taken for a Ride? For an economic development official, getting a semiconductor plant to locate in your community is seen as winning the jackpot. The high-tech jobs that go along with such a facility are considered a ticket to the economy of the future. Knowing this, companies such as Intel and Advanced Micro Devices get states and localities to pony up large sums in tax breaks and other subsidies. The local mainstream newspaper, the Register-Guard, on the other hand, is doing its best to foster feelings of appreciation for the ten years that Hynix gave Eugene. It published an op-ed from the head of the local economic development agency headlined “Hynix Always a Good Citizen of the Community.” It concluded by saying “we should wish Hynix the best.” This struck me as the equivalent of advising a women whose long-time husband just left her so he could marry a young “trophy wife” that, rather than being angry, she should be grateful to him for the years they had together. It’s bad enough that communities feel they have to kowtow to companies when they are luring an investment. The idea that they should also be deferential when a company departs is too much to bear. This entry was posted on July 28, 2008 at 8:04 pm and is filed under Subsidies. You can follow any responses to this entry through the RSS 2.0 feed. You can leave a response, or trackback from your own site. As the author of the op-ed piece referenced above, the analogy to a husband ditching his long-term wife for a “trophy wife” is hardly apt. 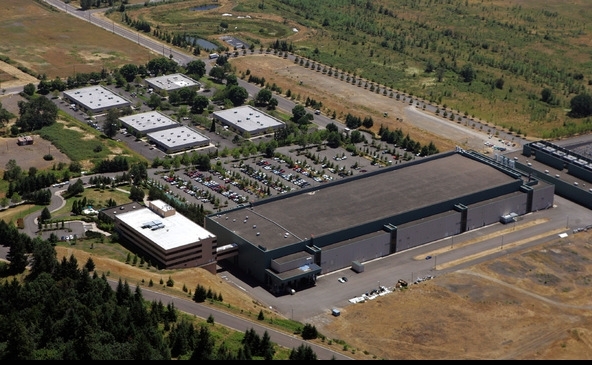 Hynix, which is trying to hang on in a terrible memory chip market, is shutting plants in Oregon, China and Korea. They aren’t closing these plant so that they can open a more profitable plant elsewhere. They are trying to stay in business. Just as the tax breaks we offered Hynix were not forever, we didn’t expect Hynix–or any business–to be here forever. Even after factoring in the tax breaks they received, they were by far the largest taxpayer in Eugene. They also provided great jobs and a lot of support for our community. There is a difference between being appreciative and being deferential. On the other hand, I’m sure the author of this post could have given lessons to Glen Close in Fatal Attraction on how to get even when a relationship goes sour. Is it any wonder communities around the country don’t take this website seriously? Maybe it would be better if corporations worried about a “Fatal Attraction” response when they abandon communities that subsidized them. Instead, they get to act like a cross between Bluebeard and Henry VIII, disposing of mates at will, with economic development officials and site location consultants serving as the royal procurers.